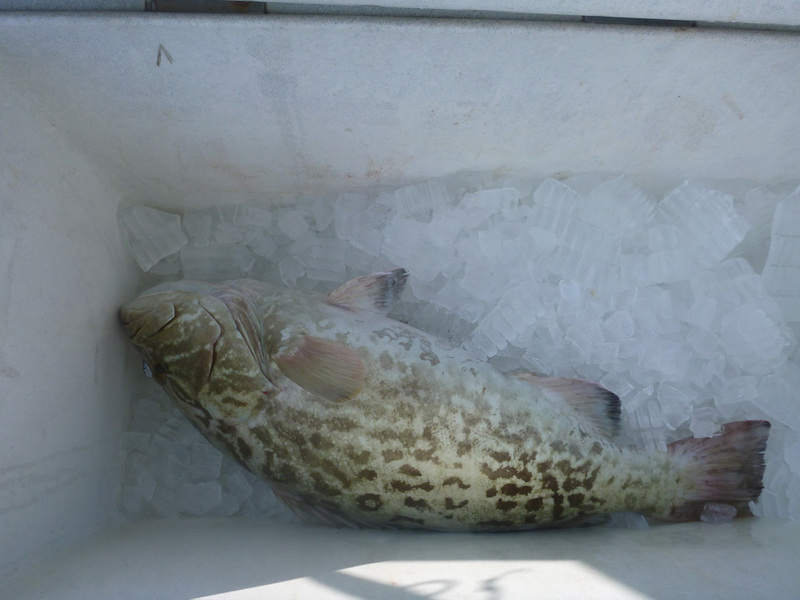 Weather had been fair all week but as we were to embark on our 10 hour fishing trip all was to change,a warm morning became windy with a cold breeze, we were hopping the fish would still bite, we had many good expectations on this trip for the grouper opener. 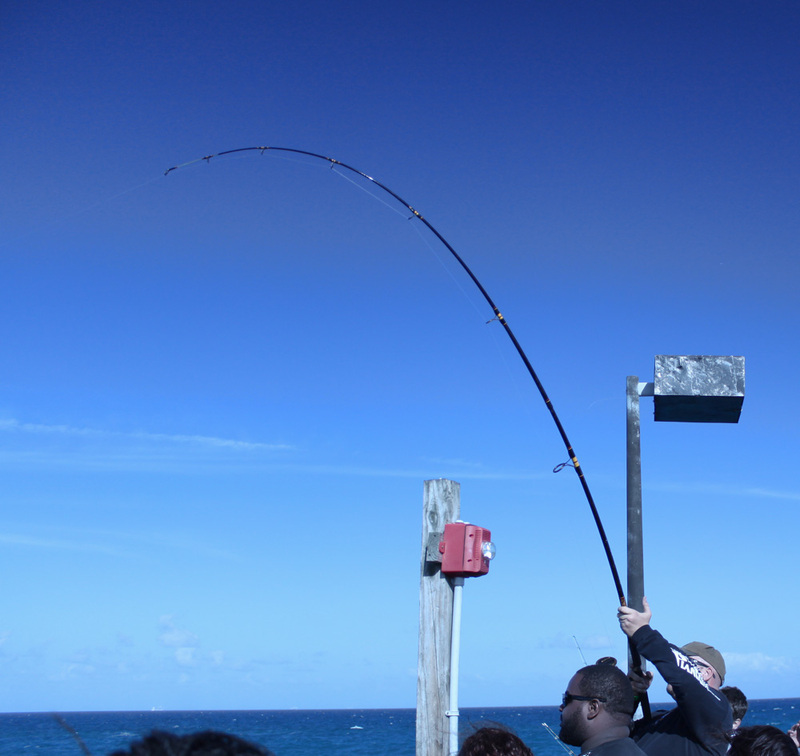 We began by catching pinfish for bait, a great bait for groupers, snappers, and many other species. 6 people alternating on sabikis yielded about 100 baits plus the boat had another 20 to 30 baits. This was more than enough since many would only do vertical jigging. The sudden weather change affected fishing and how the Captain would position the boat and as we were over a wreck our vertical jigs went horizontal due to 20 knot winds pushing the boat very fast past the wrecks. The Captain the decided call for a vote he asked us if we wanted to continue trying over the wrecks or go anchor in shallower water. Final decision was to fish shallower and anchor in 120 feet deep waters, but the same was to be had strong currents. Again the captain moved the boat to about 60 feet deep and this time the current was better. 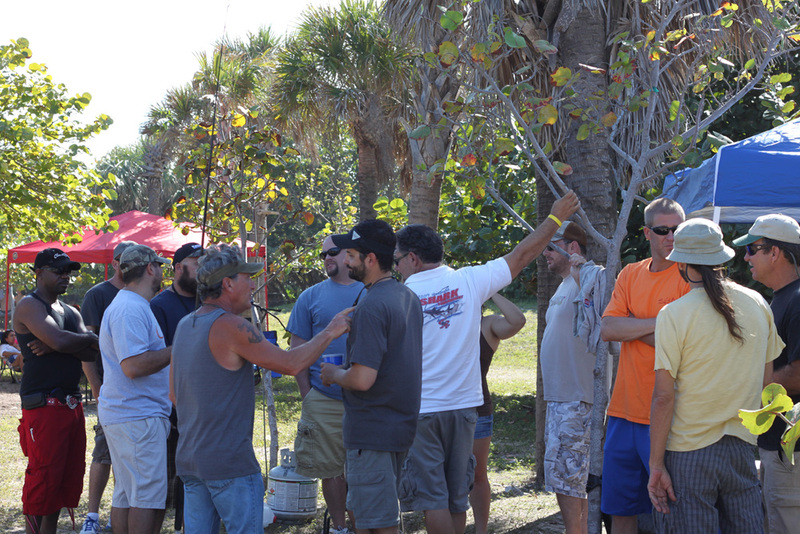 A chum line was started to attract snappers, groupers, and any other species that might hit a jig or a bait. A first hook up was had on 12 pound test and a jighead tipped with bonito, we never got to see the fish after a few minutes battle. As we were cvatching a few ballyhoos all hell broke loose with baitfish boiling the waters so the Captain Un anchored and we set after the boils casting everything we had at hand. The first hookup was Garriga on a verical jig, the my son, end result was about 4 to 5 bonitos landed some released some kept for bait on a later day. 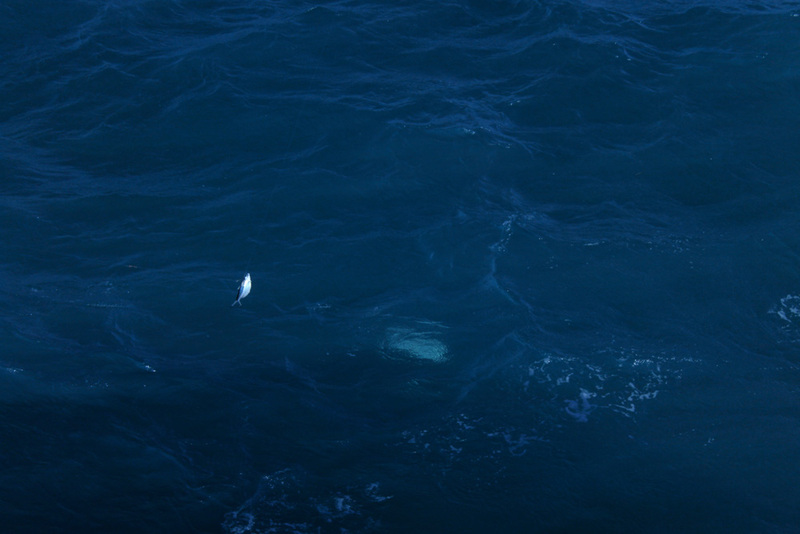 We continued following the school hoping to hook on watever was feeding on the little tunny (bonito). 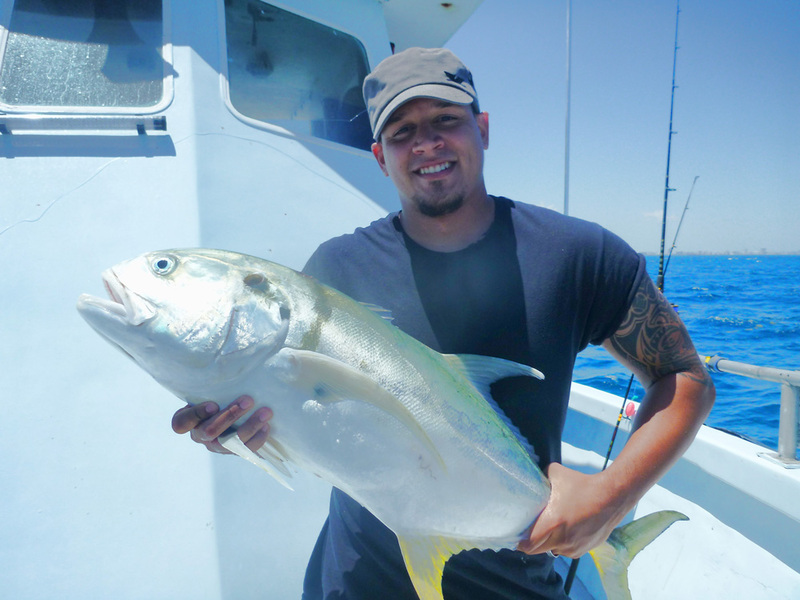 My son had a strong hook up the made him fight the fish from the transom to the bow, as otheres were still on the bonitos he was still fighting what ended being a nice size jack crevalle. Unfortunately I did not take many pictures, but here are the ones I took. Weather Forecast: Sunny 20% chance of rain, Saturday Easterly winds 9 to 14 knots then up to 20 knots. Seas 2 to 4 feet with occasional seas to 5 feet. The real weather was: Earlier seas 2 to 3 feet in the morning and 3 to 5 later in the day with occasional 6 foot rolling waves, cloudy skies in the morning then clear skies in the afternoon and no rain all day. 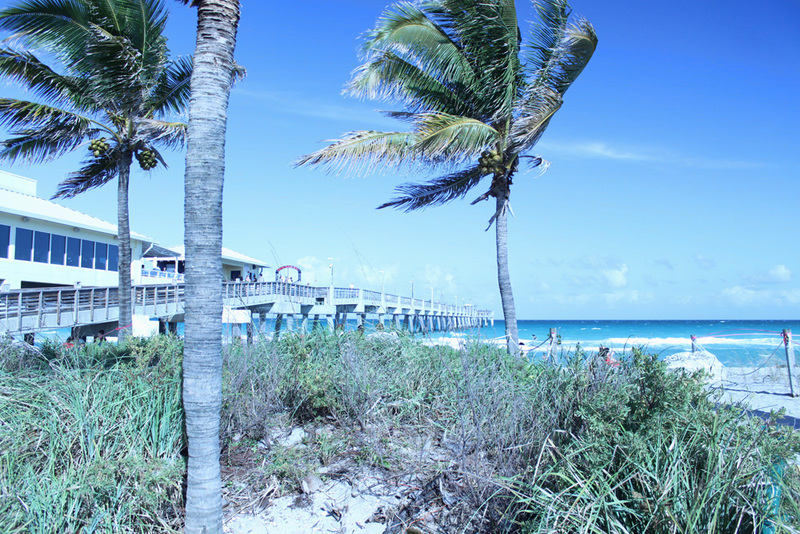 Water: Calm at in the morning then choppy and strong current later in the morning and stronger in the afternoon. 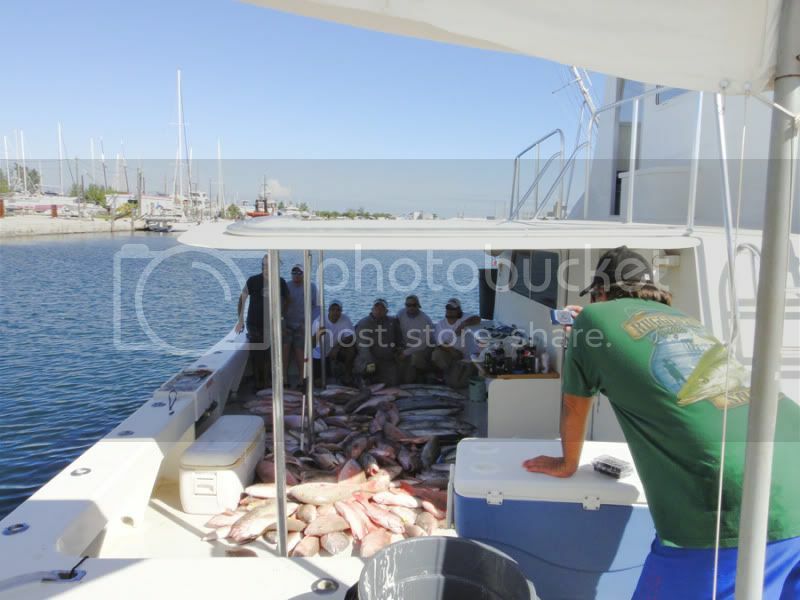 Fish catches: Several bonitos, one Gag Grouper, one porgie, one small almaco jack, and one Jack Crevalle. Jigs : 80 to 300 grams all colors were working on the bonitos. A get together was planned by Joey AKA Grunt King of http://www.Boatlessfishing.com a site dedicated to those that do not own boats and fish mostly from land. 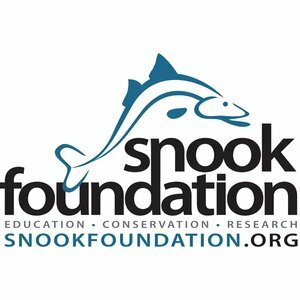 The site was created around 2006 with the idea of getting people together to help each other with fishing strategies from land. 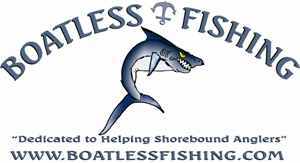 If you haven’t check it out yet you should, there are many non boaters and boaters that share their knowledge and help others as much as they can. 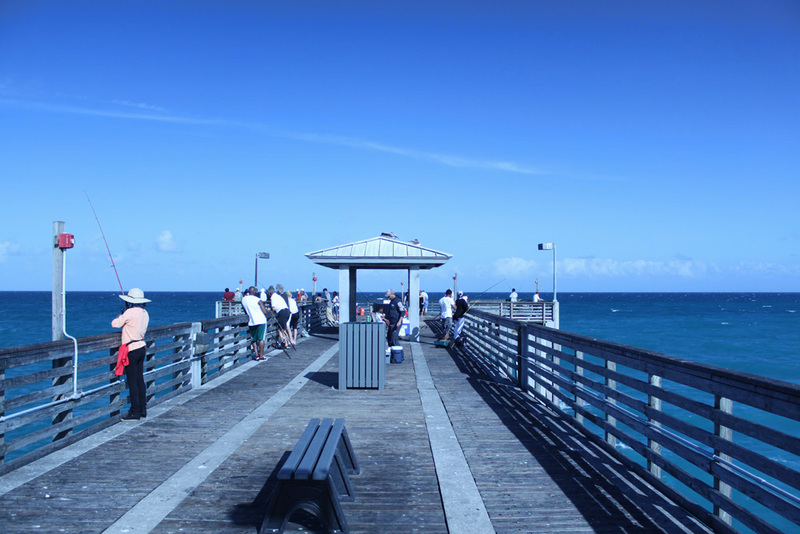 After the meet I decided to pass by Dania Pier which was only a few minutes away I wanted to see what was being caught at the pier. 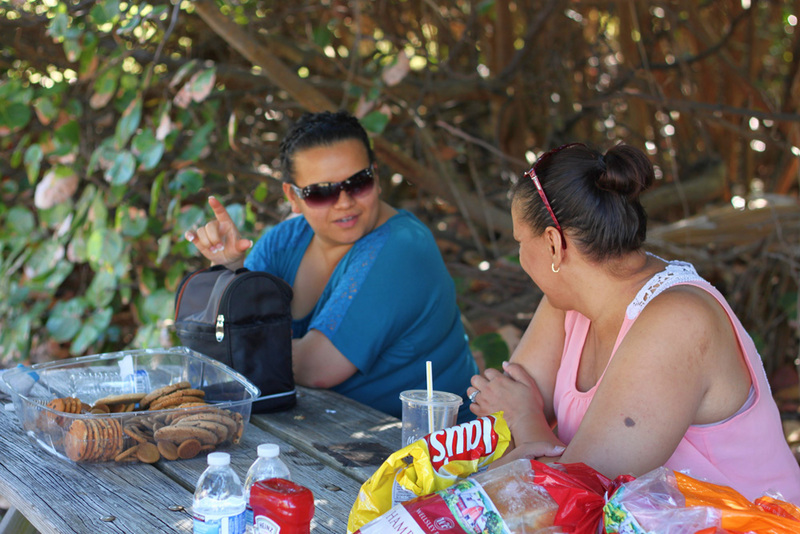 Some of the members that were there as I was getting ready to leave. 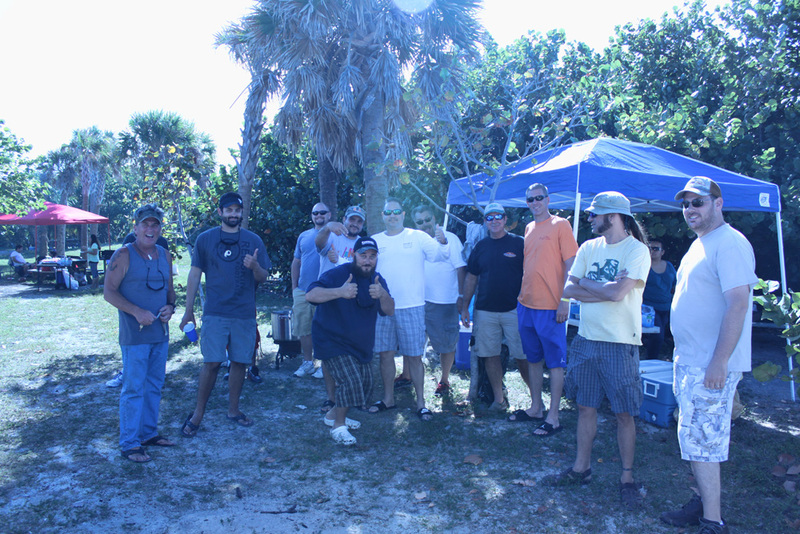 Members of http://www.boatlessfishing.com trade fishing stories while our wives talk. 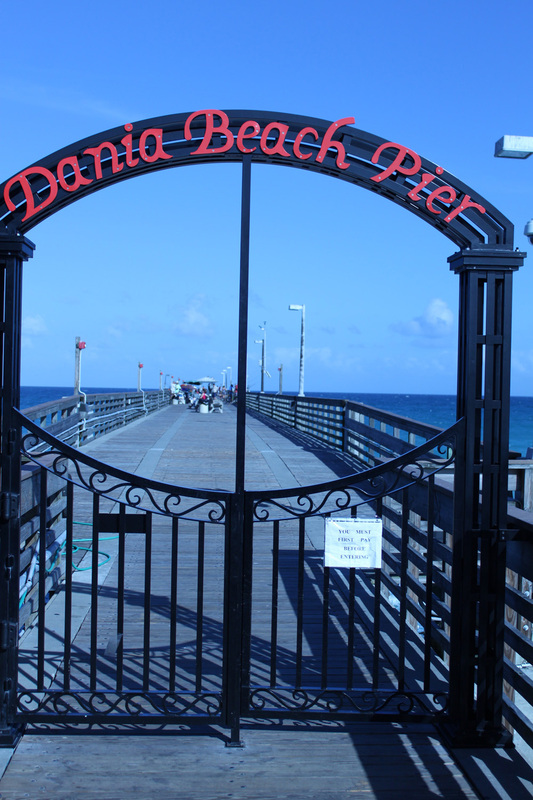 It had been quiet a while since the last time I visited Dania Pier. The last time I was there was at a memorial for the legendary Zebco a boatlessfishing.com member whom passed from this life to his resting place due to health problems. My thoughts are always with him when I visit this pier. He used to work there and was always helping those that he considered were worthy of help and with others he would just make their life a little difficult but non the less he was a great fisherman and great at building rods himself and catching pompanos. Any time there was an Easterly wind he was at a fishing pier where the pompanos where running. 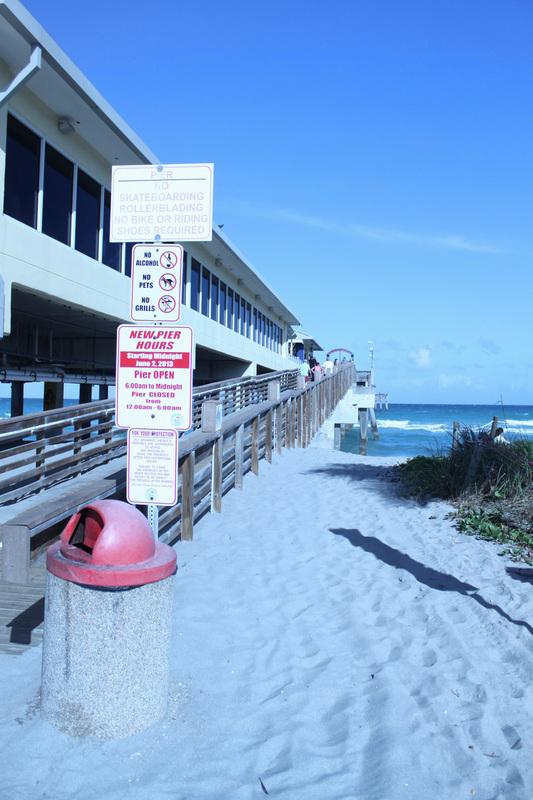 A view of Dania Beach, Florida from the parking lot. 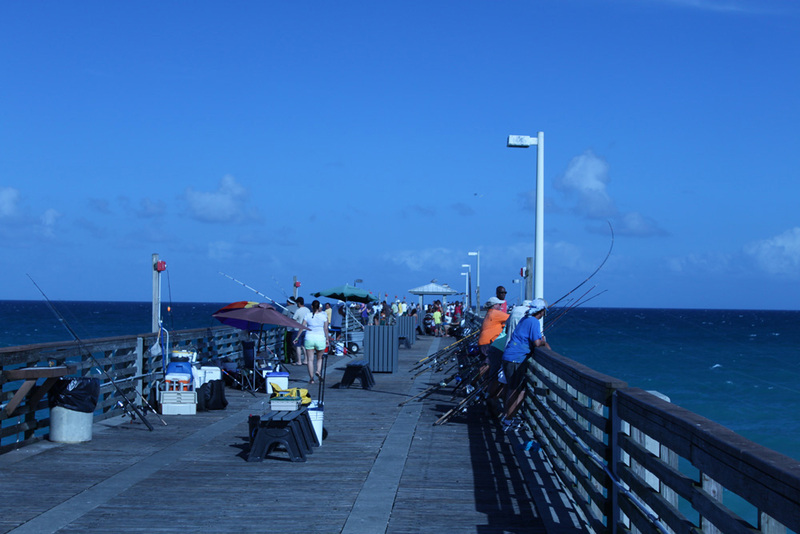 A look at some anglers fishing mid pier for Pompano fish. 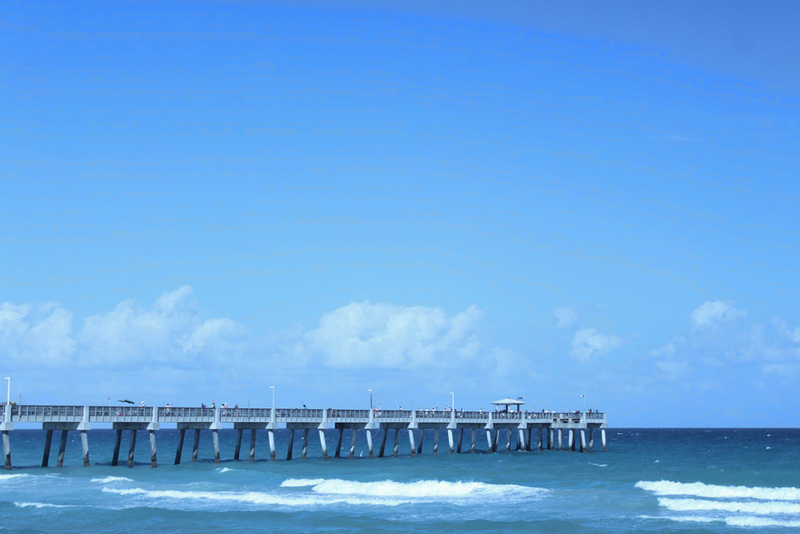 A look at the “T” of the pier. There is a small hut to help cover a few anglers from the elements. 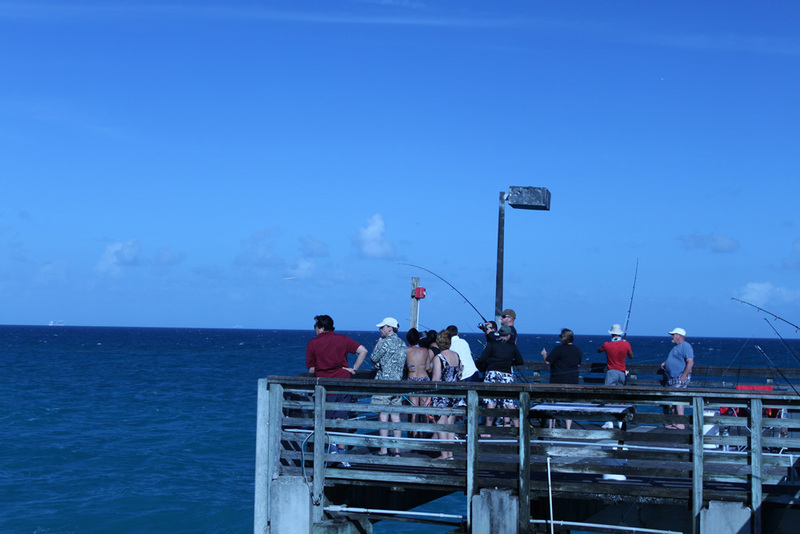 The rods are line up to catch Pompano in the afternoon. A few schools of fish showed up around 6:30 a.m. and 9:30 a.m. after that it was a waiting games and a few fish in between. 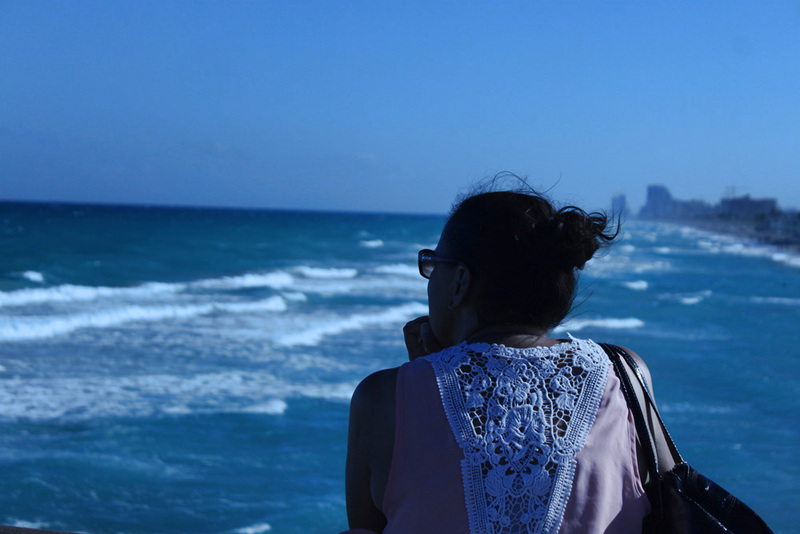 My lovely wife watching the horizon from the pier. 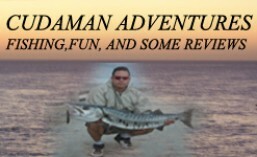 An angler has fish on and his fight begins. On the first try he lost it due to tangles with other fishermen lines. Some people just won’t move their rods out of the way for others. The angle got his second chance and this time he had no trouble as others cleared their rods out of the way or let their lines slack so there would be no tension on the line with the fish. 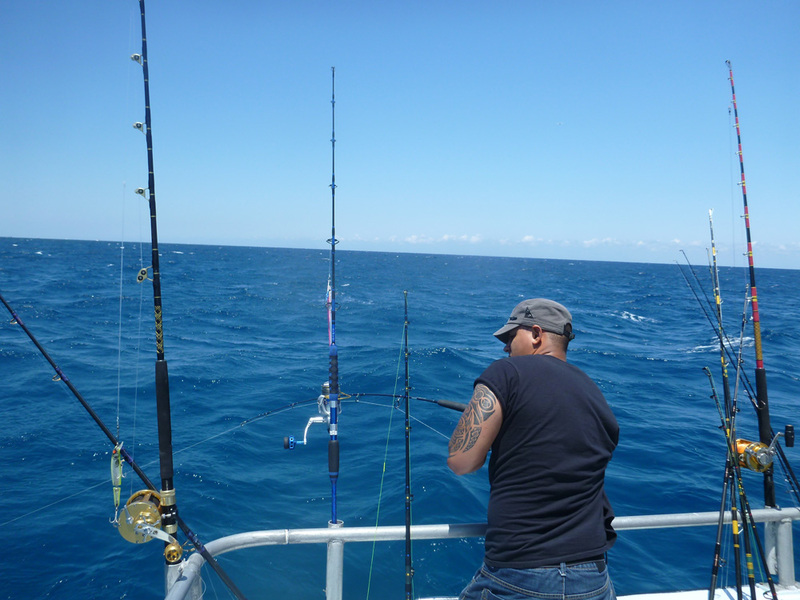 Below a picture showing the angler trying to avoid other fishing lines by lifting his fishing rod as much as possible while keeping pressure on the fish. 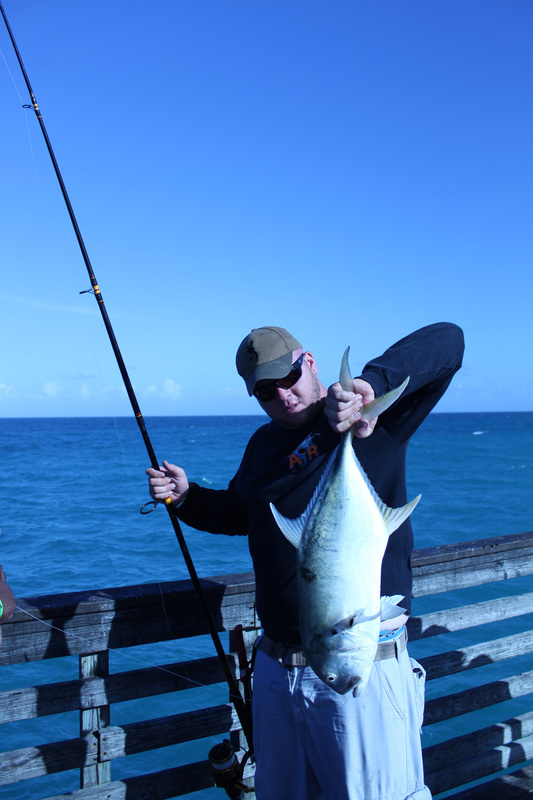 The angler with his catch, a nice size Jack Crevalle for the area.